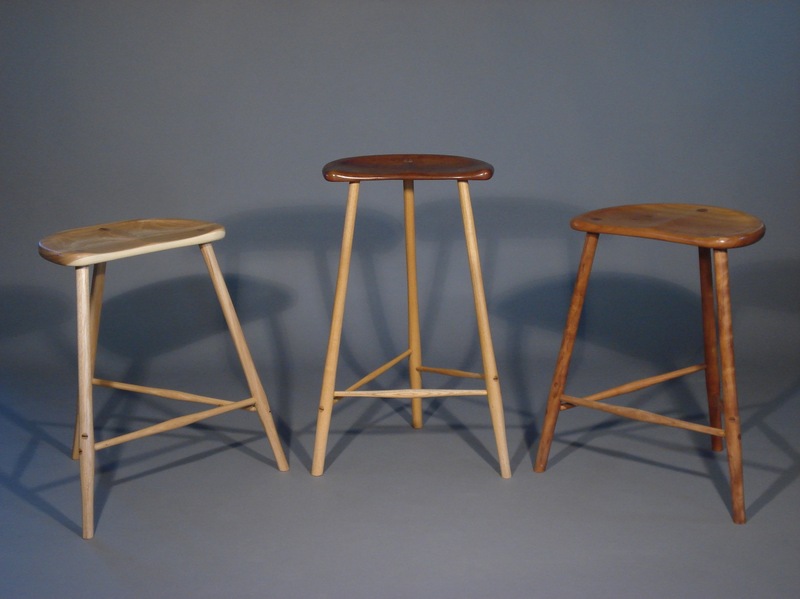 These stools have turned legs and hand-carved seats. Exposed tenon joinery with contrasting wedges. They can be ordered in a wide variety of woods.